Disclosure: I was compensated for my time from the vendor in writing up this post. However, all views shared are mine and mine alone. Pet ownership in the U.S. has more than tripled from the 1970s, when approximately 67 million households had pets, to 2012, when there were 164 million owned pets. You never think about adults going through milestones, but I finally reached one that I couldn't wait to celebrate. After being told last year that I was five years out of cancer treatment and in remission, I found out on Monday that now instead of going every 3 months to see the oncologists and getting scans, that now I only have to go once a year for a check up and have a scope down. No more scans and constant trips to Dana Farber. While I knew this day would come, I wasn't expecting to hear the news so soon. These past five years, starting with my diagnosis a few days before Christmas in 2007, have been crazy. My family will be coming to visit this weekend to celebrate my cancer remission. But, it will be a little sad, as one member of my family who really helped me through my cancer treatment will not be with us -- my dog, Abby. If you are not a dog or pet lover for that matter, then you probably don't see why me and so many other pet lovers think of their animals as members of their family. 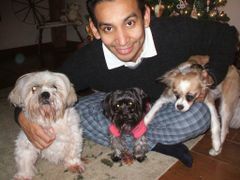 Since becoming a couple, my husband and I have rescued three dogs, Manny, Abby and Lily. Unfortunately, due to health reasons we had to put Manny and then Abby down -- very tough, as it felt like a close member of the family had passed away. I still think about Manny and Abby daily, and know that Lily, who was best friends with Abby also misses her. After being diagnosed with stage 2 cancer in 2007, I told my husband that I wanted to rescue another dog. Knowing how powerful pet therapy and the unconditional love you get from an animal is, I knew that this would help me get through the 5 months of daily treatment, while I stayed with my parents in MA. My husband and I had just bought our first house in CT a few months earlier, and he would be staying to tend to the house and work to pay the bills, while having Manny by his side. I felt lost and wanted a companion, besides my parents, to be by my side. And, so a week before treatment, I contacted the local ASPCA here in CT and found out they were doing a holiday adoption drive, hoping to adopt out many of their pets so that they would not have to be put down. We arrived hoping to adopt a Maltese puppy I saw online, but ended up falling in love with Abby. Once our eyes met, I knew she was the dog for us. After signing all the paperwork, we were able to bring Abby home and start are lives together -- we never expected it to be a short life -- but, I know in my heart that she had the best life possibly and was truly loved, and is still loved to this day. If you have never rescued a pet, then you probably don't realize that many come with medical conditions, which is usually why they end up in kennels. With Manny, he had terrible skin and food allergies, and we spent over $10,000 during the time we adopted him in 2001 until we had to put him down in 2012. Whenever he had a flare up, we were taking him to the doctors. And, whenever the doctors had a new medicine to try, we read up on the side effects and benefits before trying them out. Unfortunately his skin allergies took over and we needed to give him steroids daily to keep him from itching and ripping out his hair. But, long term steroid treatment slowly damages the liver and heart. Manny unfortunately built up a tolerance and needed to be put down as he was in pain and needed relief. During Manny's life, we became educated on so many things from skin allergies and products to provide relief, to what foods he could eat due to his food allergies. When we first were educated on how to read a dog food label, we were shocked at the different bi-products and ingredients that made up food. And, while many dogs are allergic to beef, we were shocked to find beef is most oftentimes found in non-beef dog foods. We also learned that buying high end dog food was not always best. So, after a year of trial and error with trying out different dry dog foods with Manny, as well as prescription dog foods, we found Wellness Pet Food to work best for all three of our rescue dogs, and continue to give Lily Wellness wet dog food now that she is older and had to have teeth pulled from previous mistreatment prior to our adopting her and giving her a better home and unconditional love. 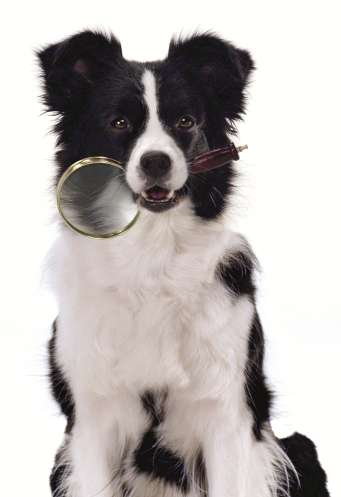 Curious to see what is the dog food you are giving your furry friend? Then, use the Wellness Check Your Bag now and see what is inside your dog's food and how it compares to Wellness Pet Food. "As a leader in natural pet food, Wellness uses natural, high-quality proteins and fats in their dog food recipes. They also include fruits and vegetables for natural vitamins, minerals and other benefits, especially antioxidants that occur in blueberries, cranberries and some vegetables, which help make their dog food products some of the healthiest options in the marketplace. Wellness recipes do not include added artificial colors, flavors or ingredients, and they’ve even created a helpful “Check Your Bag” website that you can use to compare their natural dog food to those from some competitors who claim to be natural. 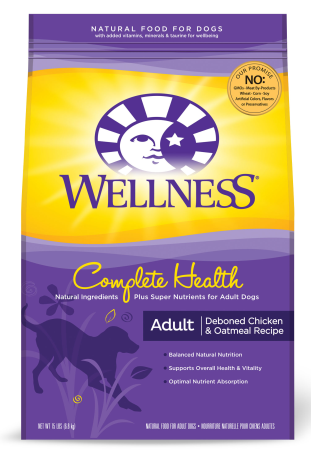 While Wellness might not be as widely-known as some of the more mainstream brands of dog food, their devotion to quality and natural, high-quality ingredients makes their food safe, wholesome and beneficial to pets’ health and wellbeing." 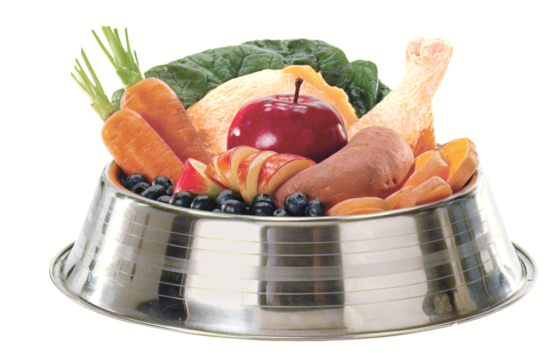 with Wellness Pet Food, you will make the switch like we did, and give your pet the proper diet they deserve. Click here to visit the Wellness Pet Food site today to learn about the different dog and cat foods available for purchase, as well as more about this trusted brand. Don't forget to register for the FREE Wellness Pet Food Pet Club online today. You will receive exclusive benefits like helpful pet articles, fun contests, new product alerts, special offers, and more. Click here to sign up for this FREE Pet Club now -- http://wellnesspetfood.com/pet-club-register.aspx. Even though we will be gathering to celebrate my remission news this weekend, I will be thinking a lot about Abby and how she got me to this point. Without her cuddles, kisses and unconditional love during my time of need, I was able to stay strong and fight during my 5 months of chemo and radiation treatments. And, when I was finally able to return home, we adopted Lily, Abby's forever friend for her, and they both, along with Manny helped nurse me back to health with their love. It is funny...I rescued our three dogs to give them a better life. But, in actuality, they gave me a better life and showed me the true meaning of unconditional love. I will forever be grateful for Abby and the special time we had together. And, as a pet owner I know that with the natural healthy diet I provided, it helped Manny with his food allergies, with Abby's seizures caused by food and stress, and now with Lily who is teaching my girls about caring for a pet and receiving unconditional love from her. :-) I love seeing the girls play with Lily, and how they love animals just like my husband and I.